Eighty-Nine: Is that your band? 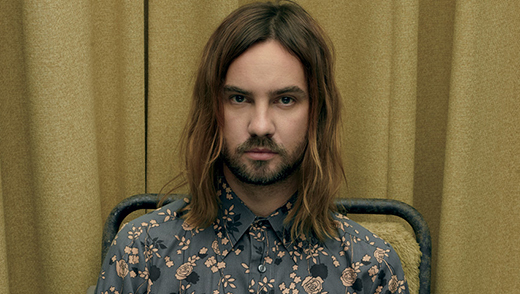 Kevin Parker: That is my band. Eighty-Nine: What are their names? KP: Names? They didn’t tell me that. Eighty-Nine: Ha! Can you tell us a little about each? KP: Well, there’s Dom. He’s the one I’ve known the longest. We met when we were 12 or 13, because he was the other guy at school who played guitar. We instantly bonded as soon as I got over my jealousy of him being a better guitarist than me. We were really good friends and it kind of just went from there. We just played throughout high school in cover bands, and I’d show him my songs and stuff. Dom’s cool. He’s always been cool. Eighty-Nine: Is he still better at guitar than you? KP: Probably. I haven’t progressed at guitar since I was about 14. If there’s a really techy guitar part to do, Dom will probably play it live. I do things in the studio but I chop it up and make it so that it’s a far better performance than it actually was. KP: Then there’s Jay. He’s been in the band the second longest. He’s four years younger than me. So I was 22 and he was 17 when we met. He was this blond, blue-eyed little kid playing drums in this punk band. You could tell he was something special. He plays keys now; he’s played pretty much everything, though. He’s 26 now, but he’s still mentally 17, and that’s the Jay we know and love. He’s a lot of fun; he just loses everything. But we all took our time to get up to speed with adult life. KP: Julian, I met him in Paris when I was there working on Lonerism. One of the biggest flukes of my career actually was finding Julian. Jay had recently expressed that he didn’t want to play drums anymore, which is understandable because Jay is a really musical guy. He can play everything, and he likes playing melodies and chords and stuff, so to Jay it felt limiting to just play drums. Also, he was sick of my dictator ways because I’m particular about drums. Drums are the first instrument I learned. Anyway, he switched to playing keys, so I needed to find a drummer. KP: Lastly, there’s Cam. A good friend of mine—we used to lived together. Cam’s on guitar. He’s one of those guys that can do everything as well. So Nick, who used to be in the band, left the band because the traveling and touring was wearing down him, so we needed to find a bassist. I was like, “Cam.” It was almost unspoken. “You, guitar.” Pretty much before we even talked about getting Cam I think Cam was like, “I’m in.” He’s incredible.